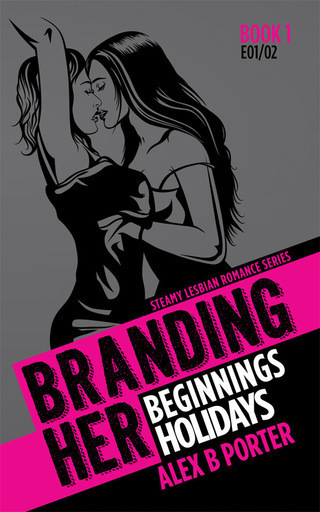 Branding Her is a new contemporary romance series for publication late 2015. Would love to get your feedback and recommends in the comments! The jangling sound of keys was music to her ears as she unlocked the apartment. Her whole body thrumming with excitement, Kaylee swung the door wide open and took in the empty space. Stale air greeted her. A thin layer of dust covered every surface and partly-peeled wallpaper was left hanging from the otherwise bare walls. The only working light bulb in the living room flickered. “Yes, momma,” he answered before he disappeared into one of the bedrooms. Judging from the whoops coming from that direction, Ryan must’ve spotted the boat-shaped bed that the landlord had kindly loaned them. She poked her head around the doorframe and found him wielding an imaginary sword at imaginary foes. Laughing at his antics, she watched him for a moment then swept through the quaint two-bedroom apartment. The apartment wasn’t much, but it had potential. Her mind started listing the things that needed to be done as she explored. Her mother had objected to the move from the outset; another addition to the million things they disagreed on. “There are many assistant jobs available right here. I don’t see why you have to look for one so far away. It almost seems like you’re running away.” Gail had been standing over her, hands on hips, watching her pack their meager belongings. Kaylee didn’t know why they were even arguing about this. Gail constantly reminded her of how they’d wasted so much money when she’d gotten knocked up and dropped out of college. One would think her mother would be grateful she’d be financially independent at last. Kaylee had dreamt of being a designer from the moment her father had given her her first sketchpad. She’d often sit beside him while he pored over a floor plan, imitating how he looked as he drew. The job wasn’t something to boast about on her high school reunion, but she was going to be an assistant to a bona fide fashion designer, her stepping-stone to reaching her dream. Dad would’ve been thrilled, she thought. In other words, Gail expected her to fail. Well, Kaylee was going to prove her wrong. The little ball of energy shot towards their bags and searched for his toys. She pulled out the cleaning supplies and got down to work. Once she’d cleared the place of dust and old wallpaper, she went over the areas she’d missed. The bathroom mirror needed a bit of a shine and the sink had some water stains. As she cleaned, she caught herself smiling. Being a single mom was more work than she had anticipated, but it finally felt like everything was going to be okay. Pushing tousled red hair from her pixie-like face, Kaylee hummed and whistled as she quickly worked her way through their new home. A sudden rap at the door brought her from her reverie. She opened it to reveal a large man from the moving company. After giving him a few instructions, she gathered Ryan and her purse and set out towards the next objective. The school was close by, making it easy to walk her son in the mornings and then catch the subway to her promising new job. They returned home with a deli sandwich and chips in tow. The movers were bringing in the final few things. There was so much work to do. The mountain of boxes made her feel claustrophobic. Ryan spent most of the evening setting up his Lego while Kaylee started working through the joys of moving. With each empty box came a small victory. By dinnertime, the not-so-empty apartment seemed much more inviting. Ryan appeared, a blanket cape flowing out from behind him. “Momma, can we have pizza tonight?” he asked, his tiny voice pleading. Kaylee’s stomach grumbled at the thought of food - it was definitely time for dinner. She weighed the options; her budget was tight, but it was a special day. After placing the order Kaylee turned on the television to take a well-deserved break from housework. As soon as she was seated, a bounding Superman launched onto the couch to save her. At last the doorbell rang and the cuddle monster ran to answer. As soon as the door opened, the realization of hunger overwhelmed her. Ravenously, she and Ryan tore into the meal. After dinner, it was bath and then bed for Ryan. This had always been the established routine, and it would be no different with school starting in just a few weeks. The apartment was silent as Kaylee worked into the night, unpacking boxes and going over checklists. Her first week was busy and left little time to enjoy the sights and scenery of her new home. With most of the important stuff unpacked, it was time to turn her attention to the interview. Blaire, the HR manager, had walked Kaylee through two phone interviews and had pretty much guaranteed her the job. It was not glamorous, nor well paid, but she hoped it was the break she’d long been waiting for. The in-person interview was meant as a placeholder, just to make sure there were no hiccups. After all, they had paid for her to move up here, and surely that meant something. Still, she fidgeted nervously the entire day before, going over and over her checklist. Her outfit was laid out. The babysitter had been scheduled. She’d checked for the quickest route to the company office. Everything was in order. Crossing her fingers, she wished for everything to go well. She had to get this job! The smells and sounds of the subway threatened to overwhelm her as she made her way into the city. She lost count how many times she’d been jostled by pedestrians before recognizing that the only way to avoid becoming a pinball was to go with the flow. And the flow was always set to “fast.” It was a million miles from the slow pace of her rural hometown. The office building wasn’t difficult to find. It was an impressive skyscraper with a mirrored-glass exterior and the company name in an enormous font. Gathering her thoughts and portfolio samples, she opened the door to her new life. After a few small exchanges, Kaylee took a seat while the cute girl paged Blaire. Kaylee looked around in awe, taking in the grandeur of the building’s modern design and marbled floors. She had trouble disguising her mix of excitement and nervousness. The woman’s office was quaint and personally decorated, with cute turtles and frogs everywhere. Kaylee let her eyes roam over the office décor while they discussed various aspects of the position. Blaire was extremely knowledgeable on fashion design and company expectations. She was also very friendly. The interview soon switched from technical to personal. “Do you have any children?” Blaire asked, looking up from her papers and smiling. The sudden change in questioning caught Kaylee off guard; she had only been expecting design and career-oriented questions. “Yes. My son, Ryan, is starting Kindergarten this year. I’m very excited. It’s going to be a change of pace. I guess I’m a little nervous about it.” Her answer roused a chuckle in the older woman. The rest of the interview went exceptionally well. Blaire let it slip that she already had an offer drawn up and it would only take a quick signature to seal the deal. For an instant, Kaylee’s mind flew through all of the different possibilities that could come from this one moment, and then she took the pen and signed her name. Beaming from ear to ear, Kaylee walked with Blaire to the front of the building. She explained the best food places, where the parking garage was, and other casual small talk. Suddenly, a woman emerged from a side hall and nearly collided with Kaylee. Kaylee shrank back from the encounter. Strands of dark hair that had escaped from an otherwise neat bun framed the face before her. Lost in the woman’s striking facial features, Kaylee stammered out nonsense. With that, she was gone, down the hall into another part of the building. As they approached the door, Kaylee turned and thanked Blaire, then found herself back on the busy streets of Boston. Elation washed over her: She had done it. The next chapter of her life was beginning, and she had a firm grasp on the page. The following days blurred together. Unpacking, preparing for a new school, and starting a new job was hard work. Kaylee and Ryan spent quiet evenings at home, trying to wind down. It had been a long journey, but being so busy meant having no time to dwell on the past. Despite still feeling pangs of loneliness, she knew the best of their lives was yet to come. Before she knew it, Monday morning had arrived. Life had shifted gears and was moving into a fresh new phase. She promised herself she would not cry, but seeing her little boy all dressed up for his first day of Kindergarten made her go misty-eyed. Armed with a backpack and an Iron Man lunchbox, he made his way into the school building, hardly noticing his mother’s distress. He was excited to make new friends and play with everyone. When had he gotten so big? After another packed subway ride into the city, Rose greeted her in the office lobby. The first day was perpetual confusion and learning. Kaylee met everyone in the office, was assigned her desk, and started her first assignment for Rose before the clock had even struck midday. ‘Fast-paced’ seemed to be an understatement. By the time lunch came around, her head felt like it could float away. A firm rap on her cubicle wall made her turn with a start. Alexis worked in a different department, but frequented her office enough that they would work together on some assignments. Kaylee was surprised at the bluntness, but quickly did as she was told. They were soon out the door. Alexis stood a few inches taller than Kaylee, making her stride longer. Kaylee’s slight form felt rushed to keep up. The conversation flowed smoothly as they walked. Finally, Alex opened the door for her, ushering Kaylee into the tiny shop. The flavors in the air made her mouth water. The Rueben was to die for, but the conversation was even more delectable. “I swear, it feels like it’s been forever since I had a conversation with someone other than my son.” The casual remark got a smile from Alex. “Oh? No husband?” Alex apparently did not have an issue with being forward about her line of questioning. Kaylee examined all of the evidence she had gathered about Alex. She thought she would be kind and caring, even though she had a straightforward demeanor. Alex raised her eyebrow and lightheartedly played at the prospect of babysitting. They both chuckled. As the meal wound down, Alex pulled out her check card and paid. “You don’t have to do that, really,” Kaylee insisted. “I will hear nothing of it. I told you I was taking you to lunch, which means I pay.” Despite Kaylee’s objections, the transaction went through - she had little choice in the matter. They stepped out of the shop, chatting again, when Kaylee suddenly found herself pressed against Alex. A man had pushed Kaylee in his haste, not bothering to pause for an apology. “Are you alright?” Alex asked, holding Kaylee’s arms to keep her steady. But Kaylee’s mind was too busy processing the shock of her breasts crushing against Alex’s side to reply. She managed to steer clear from any more jostling during the walk back only because Alex took her arm, guiding her through the sidewalks and seemingly protecting her from the lunch crowd. They arrived at the office and Alex disappeared into one of the halls while Kaylee stood still for a moment, basking in the sensations that lingered from the contact. I don't know if you want constructive criticism, reply to this if you do, but I'm enjoying the story so far! You did a good job with making Alex the type of character I'm easily drawn to. The leaves began to turn into myriad hues as the weeks propelled them into autumn. Kaylee established a great routine; so did Ryan. She worked hard and fell into her job easily. She often got compliments for her abilities and her work ethic. Her son absolutely adored his teacher and was always eager to go to school. This blossoming new life was demanding but fulfilling in ways Kaylee had never imagined. She felt blessed and she counted her growing friendship with Alex among her blessings. One day, she received notice that the subway would be down for two days. Not thinking much of it, Kaylee dropped Ryan off at school and drove into Boston to the company parking garage. The day progressed as normal until she received a call from the school: Ryan was sick and needed to be picked up right away. After making the necessary arrangements, she headed to her car. As she turned the key, the aged motor sputtered and quit. A groan escaped her lips. The entire engine looked foreign as she popped the hood. Kaylee did a few checks, but nothing she tried seemed to make a difference. My baby needs me, her mind screamed. With the stress of the job and now this, Kaylee felt on the verge of a panic attack. Flustered, she phoned the school, letting them know she would have to take the train and would be a little late. As she turned to head towards the subway, realization hit. She felt her chest tighten and stomach churn: the trains were down. Kaylee was stranded in the big city and anxiety had truly set in. Flying back into the building, Kaylee looked for the one person she thought could help. Alexis was just coming out of a meeting when Kaylee found her. “Alex, can I ask a favor?” Kaylee hurriedly explained the situation as she walked to keep up with Alexis. She was almost in tears. She hated to rely on other people, especially now that she was supposed to be making it on her own. Kaylee felt a small wave of relief wash through her. While waiting on Alex to finish her work, she phoned the school one last time. Ten minutes later, Kaylee found herself in a tan leather seat of a sleek Mazda 6 speeding down the highway. Career-driven, indeed. Kaylee admired the luxury of the car, and felt embarrassed about her own. She gushed with thanks and appreciation. Kaylee’s flush did not go unnoticed by Alex, who smiled but graciously did not comment. Alex took a slightly different route, cutting through a wealthy neighborhood lined with vibrant trees. Another frank question, although this one seemed more a statement than an invitation. Kaylee could do little more than stammer. Her mind was in turmoil. One would think Alex had just asked her out on a date. Was it a date? she asked herself. The part about having fun with Ryan seemed like a regular outing, but dinner afterwards – just the two of them – that sounded a lot like a date to her. Oh god, she hadn’t dated in years! And considering her last relationship had been short and had fallen apart horrendously, she wasn’t exactly confident that she was good dating material. Plus, she had a child whose wellbeing she had to put first. Don’t get ahead of yourself, Kaylee. She still wasn’t even sure if Alex was gay or not although she had a hunch. Blushing again, she shyly nodded her head. “Good.” Alex smiled with finality, as if everything had gone according to some grand plan. Arriving at the school, Kaylee found Ryan pale and quiet, and not at all like himself. Scooping him up, they quickly made their way home. Alex dropped them by the apartment entrance, said goodbye, and sped off. The rest of the day was spent tending with a sick child, while Kaylee mulled over the coming weekend. Before she knew it, she and Ryan were listening to live music and wandering between the different exhibits. Alex surprised her with a gentle touch on the shoulder. Her fingertips sent shockwaves down Kaylee’s spine. Turning, she accepted the extended piece of funnel cake and passed it to Ryan, who dug into the sugary treat before charging off to a kid’s area. Alex and Kaylee walked behind him as he explored. The crowd of people made Kaylee a little anxious, but having company made it bearable. Kaylee chuckled at his exuberance, but suddenly she felt a little too overwhelmed. Those sudden questions always left Kaylee grasping. The anxiety had already started bringing back bad memories. The look across her face must have keyed Alex in. “It’s nothing. I just feel a little overwhelmed with so many people. I’m not used to it.” Kaylee shrugged, trying to make light of it and to avoid further discussion. “We can leave if it’s bothering you,” Alex offered. Kaylee shook her head as she watched Ryan playing to his heart’s content. “He’s having a blast here. We can’t leave yet.” Kaylee fought back the urge to flee. After all, this was supposed to be a fun day for all of them. She felt like she was ruining it. She started to twist nervously, looking for a distraction. With perfect timing, Alex caught her hand and held it tight. “Well, if you want to stay, I’ll be here to help you get through it.” The green of Alex’s eyes, brighter here in the sun, made her forget the world. Immediately, she felt so much better. The hand holding hers melted the worry away. Kaylee’s heart fluttered and a wave of warmth surged through her body, causing her to hold her breath. Realization hit: Her hopes were not just fantasy. It really was a date. Kaylee was shocked how Alex always seemed to read her mind. Even at work it happened frequently. The rest of the afternoon passed with balloons, celebration, and further flutters of anticipation. All too soon, Ryan was complaining of having to leave as they drove back home. The sitter would be there soon, and Kaylee had to get ready for her date. At 7:45 the bell chimed Alex’s arrival. Kaylee opened the door in a teal dress, cut to accentuate her curves. A playful whistle from Alex made her turn crimson. Alex lifted her hand, leading Kaylee out into the night. After opening the car door for her, Alex rounded the front and got into the driver’s seat. “Do you like seafood?” The question was more rhetorical than anything. The restaurant Alex had chosen was upscale and offered a beautiful view of Boston harbor. As they drove, they talked about how much they enjoyed the day, how excited Ryan had been, and what their next plans would be. “I didn’t want to ask around so many people earlier, but is there something about crowds that makes you so anxious?” The question was asked benignly, but a flood of emotion brought a lump to Kaylee’s throat. Sensing the tension, Alex reached over and rubbed her arm. Alex’s hand brushed down Kaylee’s arm and squeezed her hand gently, urging her to continue. “College was a confusing time. One day my girlfriend and I had a fight, all because of my mother. After the fight a friend offered support. He took me out to relax and have a good time.” Kaylee paused. “The party was loud and crowded. I guess I drank a little too much and felt overwhelmed. Nathan eventually found me having a panic attack in the corner. I was a wreck from being lost, and my emotions were all over the place.” Kaylee’s voice caught as her lips pressed together. She had never uttered this to anyone, and was in no mood to finish the story. Alex stopped the car and grasped Kaylee’s hands, feeling where this was going. Kaylee started to feel like she was destroying the moment again. A squeeze reassured her otherwise. There. She had said it. She had worked through most of the turmoil over the last few years. Still, the memory was an open wound and she twisted away as her eyes began to well up. Fighting back the tears, Kaylee could only nod. Alex took Kaylee’s chin and turned her head gently, gazing briefly into soft golden eyes. Kaylee’s heart swelled by this rare expression of emotion from Alex. In all of their encounters at the office, Alex had come across as quite stern. Kaylee felt like she was melting into the seat. “Look at me. You’re so beautiful.” Alex’s words seeped into the sadness that had grown in Kaylee’s heart. They entered the restaurant, which was every bit as nice as Kaylee thought it would be. The rustic decor and a view of the bay added to the serene atmosphere. The aromas emanating from the kitchen reminded her how ravenous she was. Walking towards the table, Alex held her arm out for Kaylee to take. Kaylee accepted it with a smile, and once seated, Alex ordered their bottle of wine. Kaylee had never been on a date like this and had no idea what to choose from the long selection. Alex helped by pointed out some of the appetizers she enjoyed. The waiter went over the evening’s specials and brought the wine. As the food started to arrive, Kaylee drew the conversation away from herself and asked about Alex. “So, now you’ve heard my woes. Let’s hear something about you,” Kaylee ventured. The plate in front of her was brimming with succulent shrimp, wild rice, and asparagus. She realized how hungry she had been as the aromas hit, but not even a delicious meal could distract her from wanting to know more about Alex. She ate silently, hanging on every word. “Well, there’s not a ton for me to tell. I’m a workaholic, I stay up too late, and I don’t get much sleep. What else would you like to know?” Alex asked, smiling at her lengthy self-description. She speared a scallop while waiting on Kaylee’s response. “I originally grew up around New York. My father owned his own business; life was grand. As a teenager I discovered fashion and fell in love with it. My parents eventually forgave me for going that route. They actually paid for me to attend one of the top schools here and graduate school in London. I had a great time, some great experiences, and really loved life. Still love life, just work too much. My family has been a real blessing, embracing my career choice and my lifestyle. My brother is still annoying, but my parents are gold.” Alex finished her summary and took a sip of wine. “That sounds mind-boggling. I’ve never been outside of the country, let alone to London. There’s a lot I haven’t had the chance to do yet,” Kaylee said, finishing off her glass of wine. “I think we should change that,” Alex said, smiling and draining her glass. The couple shared wine, stories, and a divine array of seafood throughout the evening. The coup de grace was the decadent dessert, a slice of ‘death by chocolate’ cake. All too soon, they were heading back home. “Today has been absolutely amazing. Thank you so much for everything.” Kaylee giggled, feeling truly happy with where she was in life. Alex parked outside of the apartment, hopped out, and opened the car door for Kaylee. They walked slowly up the path, savoring the crisp night air. Alex’s words echoed through her and a blush started to rise. She turned to mutter a reply but found her lips meeting with Alex’s. The chill of the autumn evening vanished in a blink. In fact, she felt hot all of a sudden. She was sure the world carried on around her, but in that moment, she was too absorbed with the soft warmth of Alex’s lips on hers, on the delicious friction of their bodies pressing against each other to take notice. Alex’s tongue slipped past her lips and stroked inside her mouth. Kaylee felt that stroke in every nerve ending. She was almost dizzy with exhilaration. Was she even breathing? Right now, “death by ceaseless kiss” seemed like a good way to go. Fortunately – or unfortunately – Alex pulled away. Smiling, she kissed Kaylee’s forehead, saying goodnight and headed back to her car. Kaylee paid the babysitter, bid her farewell and sank into the couch. Her mind was racing with the day’s activities. The kiss still felt fresh on her lips as waves of mixed emotions spiraled into the night. She had never felt for another person as she did for Alex at this moment. She had laid herself bare to her friend and was not rejected. Despite Kaylee’s past, Alex was there for her. The expanding emotions swept down her cheeks. Kaylee’s mind recalled events of her past, intermingling them with the day’s happiness and her deep-rooted insecurities. She checked in on Ryan, her little angel sent as a gift from past transgressions. Finding him asleep, she pulled off her dress, climbed into a relaxing shower, and began soaping herself. She closed her eyes and let the excitement and emotions of the day overtake her, dreaming of what the future may hold. As she crawled into bed, the dreams faded and were quickly overshadowed with fear and insecurity. Her mind fought sleep, ruminating over every negative thought that entered her mind. Monday posed an interesting dilemma. Alex was making coffee in the break room when Kaylee came in. She flashed a knowing smile, sending a rush of warmth to Kaylee’s cheeks. Rose didn’t seem to notice anything as she explained an upcoming assignment to Kaylee, but Kaylee’s stomach fluttered with excitement and confusion. The what-ifs from the previous night were still at the front of her thoughts, but she smiled back at Alex, hoping to seem nonchalant. The week seemed to drag by. Kaylee felt unsure of what to think about the situation. She knew that she liked Alex, and that she enjoyed every moment she had spent with her. However, Kaylee’s uncertainty, the insecurities from her past, and the contrast of Alex’s lifestyle from hers was paralyzing. As Friday approached, Alex cornered Kaylee in the break room. “Are you avoiding me?” The question stabbed through Kaylee like a knife. The swirl of emotion returned to her gut as Kaylee met those piercing green eyes. Alex inched closer, the proximity helping Kaylee relax. “And what if we live happily ever after? Eh?” Alex returned with a playful smile. The sudden new ‘what if’ threw the others out the window. She realized how silly her mind was, running away with the whole ordeal, especially after just one date. However the thought of that ‘what if’ brought a genuine smile of relaxation to her face. “I might like that,” Kaylee answered. Electricity hummed between them as they stood. They were only a foot apart and all it would take was for one of them to reach out and they’d be touching. Kaylee was very tempted. She wanted to test the silkiness of Alex’s cheek. Looking around to confirm that no one would see, she leaned in, kissed Kaylee’s cheek and turned to leave with a smirk across her face. Suddenly, Kaylee felt the need to rush home and start preparing for tomorrow’s meal. Asparagus, check. Garlic, check, and lamb chops, check. The shopping seemed to take forever on the hectic Thursday afternoon. As soon as she got home with Ryan, she started tidying her small apartment. “Momma, what’s for dinner?” Shocked, Kaylee looked at the clock, a quarter till eight already. In one quick swoop, she grabbed the keys and a light jacket. Without a word, Kaylee drove off, mentally going through checklists and preparations. On their way to get food, they talked about school. Ryan had adjusted well. He also seemed to really like Alex. “Well, maybe? Is that okay? Do you like Ms. Alex?” Kids say the funniest things, she thought. Of course, he had a right to give his opinion. It was his life, too. Once they got home, they devoured the tacos and Ryan went to bed. Kaylee worked feverishly trying to prepare for dinner and clean the house. Around midnight, she had everything clean and the lamb chops were marinating. Exhausted, she whisked herself off to bed.